West Link Services is a cleaning company which provides extraordinary cleaning services including window cleaning as well. 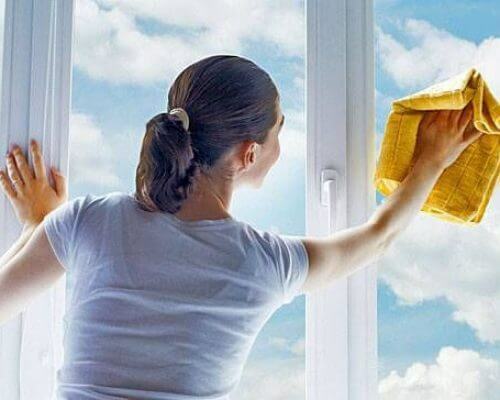 Among all our competitors we are the top windows cleaner Sydney region. Many people overlook their windows because of many reasons. They either have difficulty in reaching to it or doesn’t know the proper way to clean a glass or other material windows. They rarely clean it and sometimes will just do it for the sake of a party coming up. However, keeping the windows clean has many benefits. A clean window can improve the interior and exterior appearance of your home or office. Furthermore, regular window cleaning ensures that your panes will have a long life. Why Hire A Professional Window Cleaning Company? So, why hire a professional windows cleaner? First, it is safer. Some windows are hard to reach and you may not be able to clean all the corners of your window. Moreover, hiring a professional with the right equipment can make the task so much easier. The second benefit of hiring a professional windows cleaner is it guarantees that your panes are cleaner and clearer. The best cleaners use special tools, high tech equipment, window shiner, and cleaners to make sure that your windows are cleaned without any streaks. Lastly, you get to take cleaning off your to-do list, so you will have more time to do the most important things like spending the day with your family and friends or even treat yourself to a massage etc. West Link Services is undoubtedly the best windows cleaner Sydney region and serving hundreds of clients every day. Furthermore, we are also providing our services 24/7 including weekends. We do not cost any hidden fee or charges to visit your premises for quotes. So, call us today and book your visit with us, and we will make sure to provide you the awesome services at your doorstep. Our team of well-trained cleaners, with the help of modern technology and new techniques, are always happy to help you with window cleaning and other cleaning services including rug cleaning, carpet cleaning, end of lease cleaning, after builders cleaning, and upholstery cleaning etc.